The digitally empowered consumers expect to be served at any time and place of their choice. Closing in on to their consumers is Mahindra Comviva’s Zerch, a mobile-based hyper-local deals delivery platform connecting merchants and consumers. 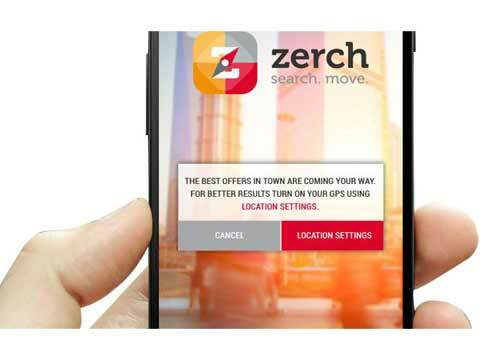 Zerch allows consumers users to get access to deals and promotions being run by merchants in their locality. In the testing phase, it has garnered over 1.5 lakh users in Delhi-NCR and Bengaluru and has partnered 2,800 stores. These merchants include brands like Burger King, Pizza Hut, Ferns N Petals and Javed Habib hair salon. Customer deals will emerge as an important medium for bringing traffic with buying intent to stores in the future. “Zerch provides a convenient, effective medium to merchants of all categories to reach out to their target segments with relevant offers,” says Srinivas Nidugondi, Senior VP and Head of Mobile Financial Solutions highlighting the App’s unique proposition. The hyper-local app giving access to deals close by has ventured into a large number of categories, including food and dining, health and wellness, apparel, electronics and many more. “We’re currently running a paid offers pilot with deals that users can pay for on Zerch. We plan to roll out more such attractive offers shortly,” Nidugondi said. “Customers get access to deals in the offline space from their favorite brands and they can get that information from the stores nearby them,” explained Nidugondi and added that for merchants it can act as a cost effective platform to promote their offers to a number of users, leading to more footfalls to their stores. Instead of spending on traditional, non contextual modes of advertising, Zerch provides an alternative channel for discovery and fulfillment of offers. Brands can leverage Zerch’s consumer reach on digital and offline platforms to target their consumers more effectively and also lower marketing costs at the same time. “We are planning to on-board 5000 merchants by end of this fiscal year and to expand to two more cities in addition to Bengaluru and Delhi – NCR,” added Nidugondi.